Thanks to Target for sponsoring this post. As always, all opinions are my own, thanks to supporting brands that support Cella Jane. Living one minute from our neighborhood pool, swim suits make up a big part of my wardrobe. I have a whole section in my closet dedicated to them, over the years of buying them. I’ve become pretty good at finding the perfect fit for my body. Of course, over the years my body has changed, especially with having a baby 10 months ago. My hips, my breasts, and stomach have all slightly changed, so buying swimsuit styles has changed. I always turn to Target for their large and versatile selection of swimsuit style. I love mixing and matching, and they have just about every color in every style and fit you’d want, while also being trendy. Finding the perfect swimsuit to fit your body can be a stressful thing, and feeling confident in one is pivotal to enjoying yourself. For me, it’s all about the high waisted bikini and the one-pieces. I am not yet 100% confident to rock a bikini. I love this striped two piece. The high waist bottom is such a cute trend. I got this striped top and also purchased another one in black to mix up the suit every once awhile. Many times our pool trips are followed with dinner or happy hour (which is my favorite) so I style my cover-up appropriately. I rarely get an actual swim cover-up, I like cover-ups that double as regular apparel, so I can get the most use out of them. I love chic, flowy maxi dresses, like this pretty white pleated one. 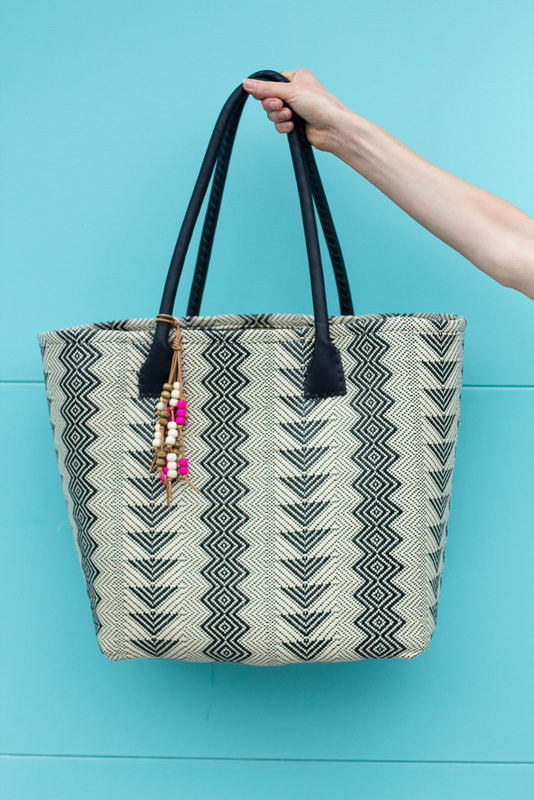 I completed the look with a beach tote, gladiator sandals and you can’t forget a panama hat….all found at Target! Love love this swimsuit. Target is just one of my favorites! You look so cute! I just bought that maxi dress last week in blue and am pretty obsessed with it! Would've never guessed any of those pieces were from Target! Great swimsuit!! Love Target and this bathing suit is darling! It feels vintage but modern too!